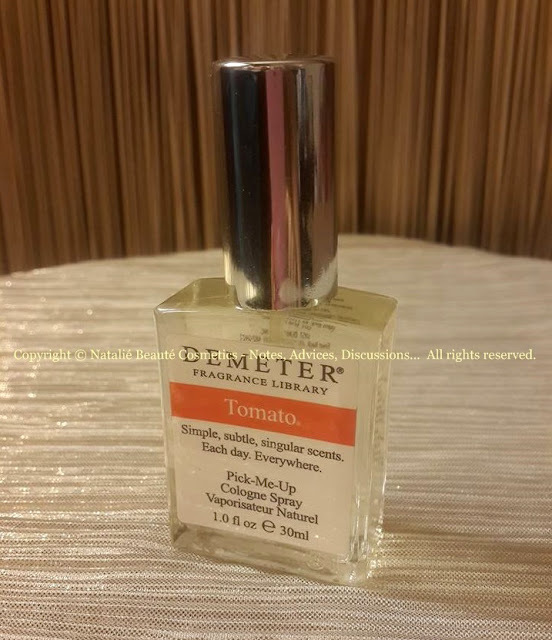 Yes, fragrance, which smells like Tomato! Today, I just got my first perfume by DEMETER Fragrance Library - TOMATO and it's absolutely adorable. 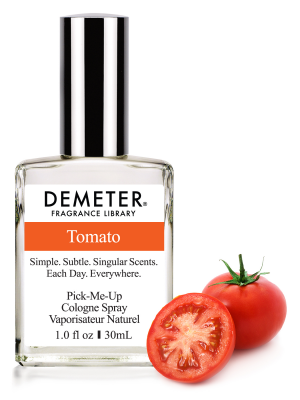 TOMATO Pick-Me-Up Cologne spray is part from DEMETER Fragrance Library line - CLASSIC. 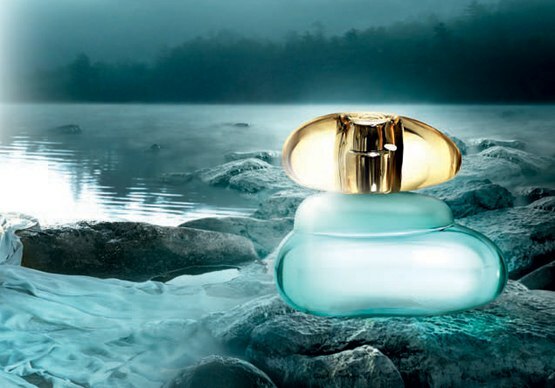 "We love this scent so much. It's really a verb; picking tomatoes. The scent the tomato leaves leave on your hands. It reminds our co-founder Christopher Gable of his Grandfather's farm when he was a kid." This fragrance really smells like fresh red tomato with the tomato leafs. 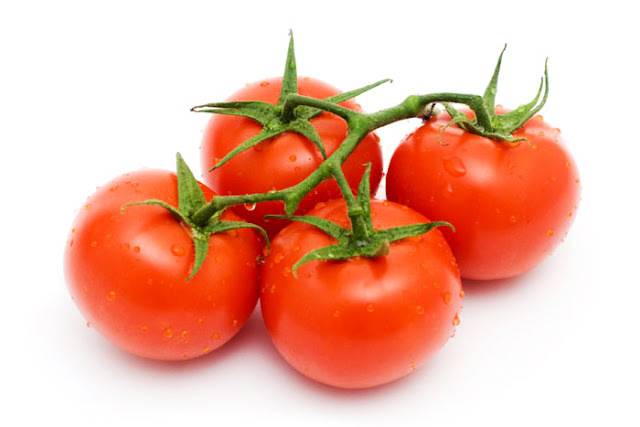 Like large, fresh tomato garden. Very realistic scent! 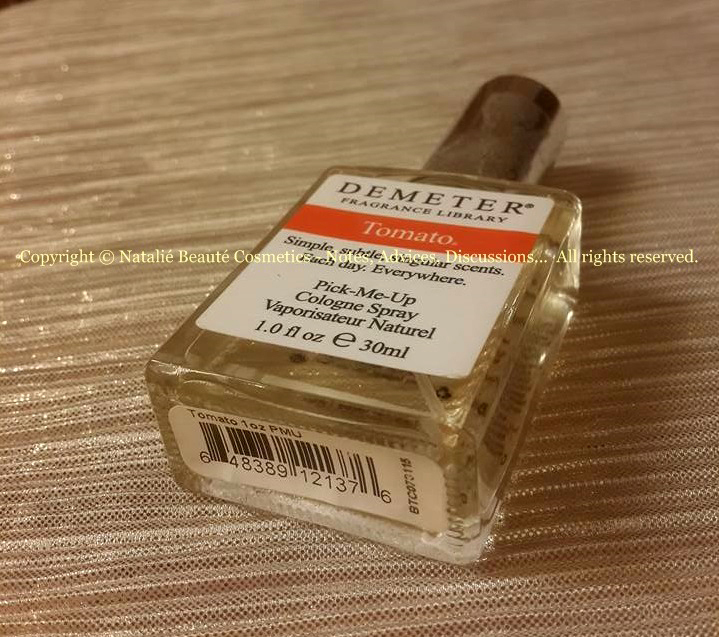 I must say, that this is my first DEMETER perfume and I'm very pleasantly surprised! The scent is exactly, as I expected! When you spray the product, it's little bit sharp, during the first 1-2 minutes. 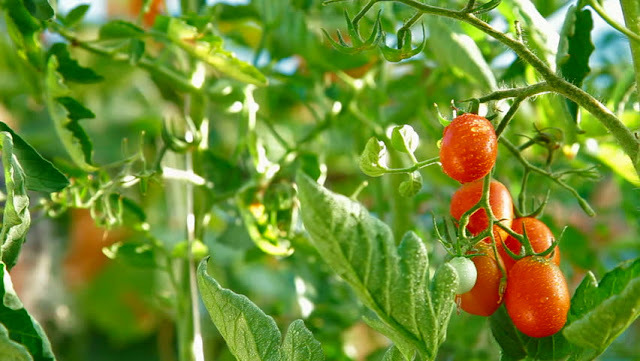 Soon, it turns into that amazing familiar scent of tomato - branch of tomatoes, their tomato skin, tomato leafs. On the skin, it smells really very fresh and exactly, as described! It stays on the skin for hours. The silage is normal - arm length. The scent itself is not so called "chemical", but very realistic and pleasant. This is scent for appreciator. 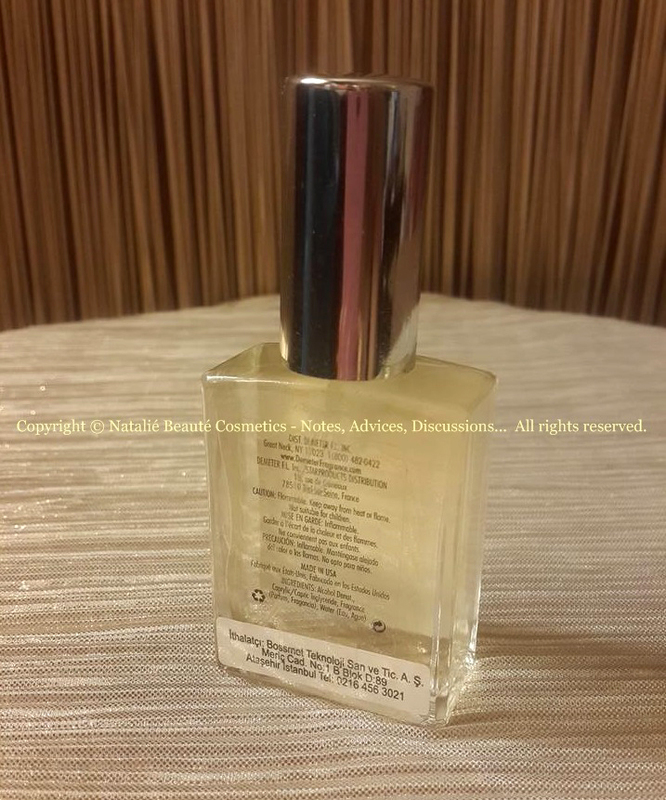 If you like these kind of unusual, unique, thematic scents, you might like this one, also.